The Rivers State Chapter of the All Progressives Congress (APC) has predicted that Governor Nyesom Wike will eventually turn out to be the albatross of the opposition Peoples Democratic Party (PDP) if the party fails to take urgent steps to checkmate him. Wike has destroyed both the Rivers PDP and governance in Rivers State and will surely destroy the entire PDP in matter of months. He has earned the title of MR DISASTER by merit as he has turned the once peaceful Rivers State into Rivers of blood, a state of forgery and a one day one wonder State. 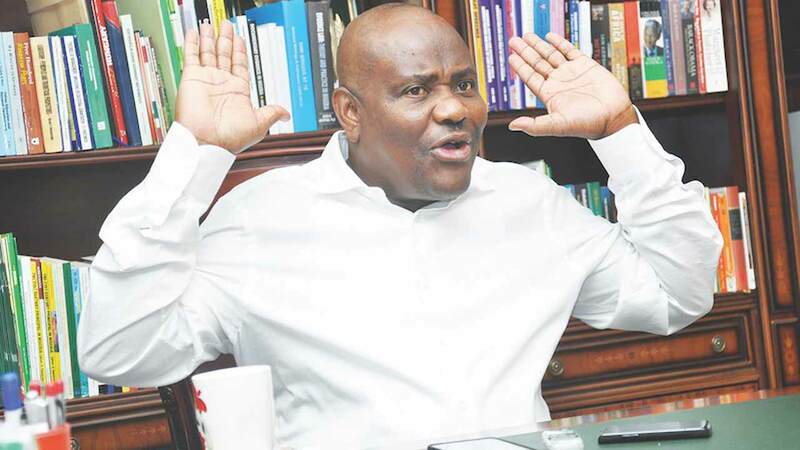 Rivers APC made the prediction in a statement in which it berated Wike for his sickening obsession to destroy the man who made him what he is politically – his immediate predecessor and incumbent Federal Minister of Transportation, Rt. Hon. Chibuike Rotimi Amaechi in order for him to be politically relevant in PDP. The party stated that, “But in case anybody doubts this prediction, the person need to go back to our warning in 2014 when we counselled Ex-President Dr. Goodluck Jonathan to leave Amaechi alone if he still wants to survive the 2015 general elections but he turned dead ears to our warning and the result is the exposure of the level of corruption under his watch”. The statement advised PDP to take advantage of the Supreme Court judgment on its protracted leadership dispute to get it acts together so as to offer constructive opposition to the ruling party. “More importantly, PDP leaders should end their celebration and be in sober reflection of the shame and punishment their party’s corrupt administration has brought to Nigeria and Nigerians in its 16 long years of dominating the Nigerian political space,” the statement said. It, however, advised the opposition party to perish the thought of returning to power in 2019, declaring that Nigerians will not make the mistake of bringing them back to power to resume their looting spree. It urged Nigerians to continue to pray for the good health of President Buhari and the success of the APC-led Federal Government and forget the macabre dance of PDP in their dream of returning to power in 2019 in order to continue with their looting spree of our common patrimony. Has APC ever done anything good? Your leader has been away for months spending our money that should used to pay more workers and fix roads, water, light and health facilities. Let him destroy it, it cannot be as bad as you people. People challenge your regime and sue the person and lock the person up is that how leaders behave?